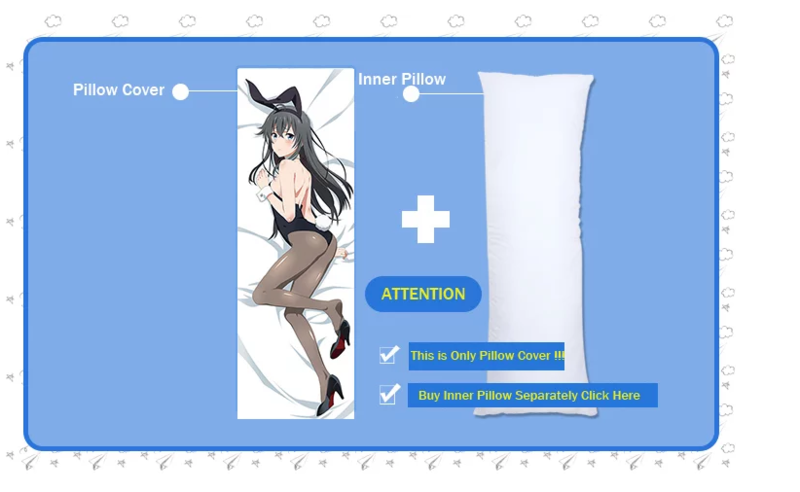 The picture is processed by mosaic, Anime Dakimakura character will not have mosaic. 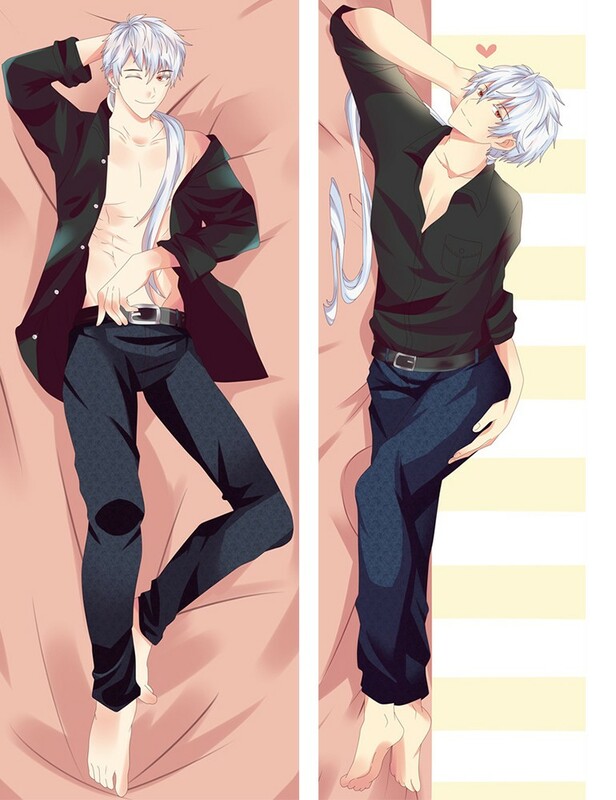 This is God among Gods!Developed by famous Tokyo Dakimakura Compay A&J.It has the best picture quality silk skin touch! is wrinkle free and elastic in nature. by hand,feel soft and warm.Downside is the picture quality which isn't asdefined as other fabric due to the nature of velvet. 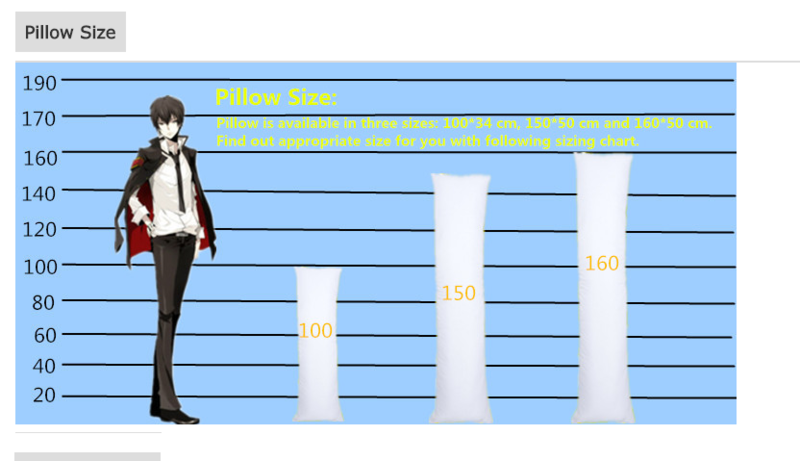 If you want your dakimakura to be silky and soft.It's better to choose SK.It's a kind of one-way stretch fabric,doesn't rip or fade. 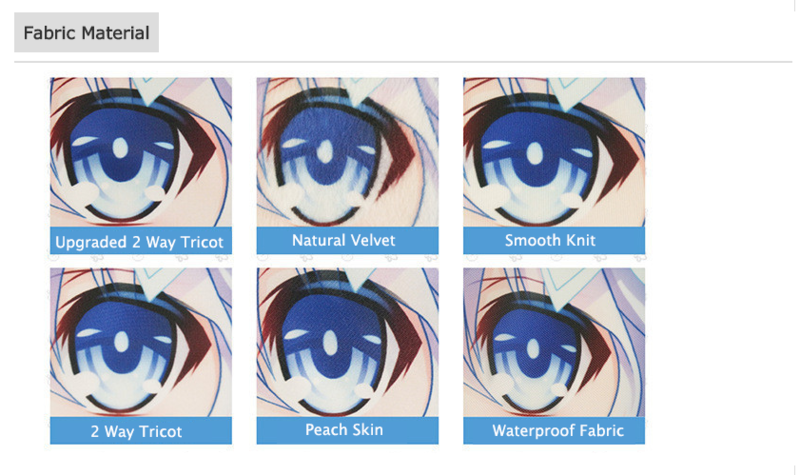 Peach Skin is the best dakimakura fabric for first time buyers as it is very durable.It is not the best in terms of comfort though? It also looks as lovely asit feels.It also gives the exact feel of a smooth peach fruit and it is very comfy.